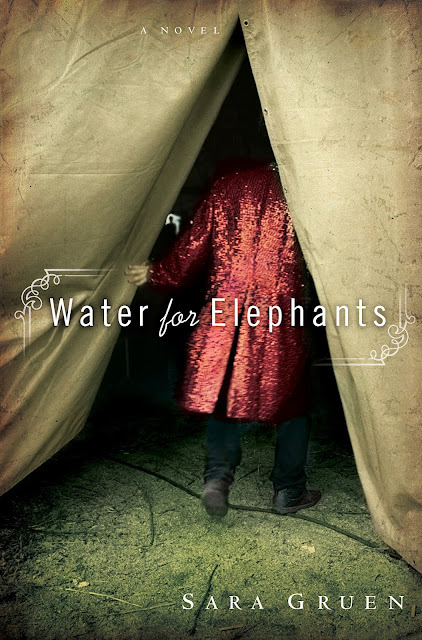 Water For Elephants is a fictional novel by Sara Gruen that is set in the Depression. It follows the story of a young man whose circumstances are suddenly altered and who finds himself homeless and jobless. He jumps aboard a passing train and discovers he has landed on the train of a travelling circus. He is given a job with the animals because he has veterinary skills and falls in love with the star of the circus. Is it a bit cliched? Perhaps but it is still a good book. Is Water For Elephants A True Story? Water For Elephants is a period drama and romance story based on real circus history. It is a work of fiction but does include factual information about the history of the circus based on accounts of circus life in the Depression years, a time when men were desperate for jobs. They were so desperate in fact that they would take and stay on at jobs where the work was extremely hard and unpleasant and where the pay was not necessarily delivered when it was supposed to be. I found the author's note at the end of the book very helpful. In that section, Sara Gruen answered the numerous questions that I had when I was reading the book. The note also tells how Gruen came to write a story based on the circus. She read a story in the Chicago Tribune about travelling circuses in the 1920s and 1930s and the accompanying photo took her fancy. She subsequently purchased two photographic circus-themed books: Step Right This Way by Edward J. Kelty and Wild, Weird and Wonderful: the American Circus by F.W. Glasier. This was the start of an obsession (my word, not hers) that eventually included a large collection of circus-themed books; visits to The Ringling Circus Museum, Circus World and the Kansas City Zoo; and, a large knowledge bank about conditions and life in the circus. The circus has a rich and somewhat loose history. The line between fact and fiction is somewhat blurry. The following are three simple stories that author Sara Gruen uncovered in her research and incorporated into her book. Legend has it that there was really a hippo pickled in formaldehyde. Legend has it that there was a 400-pound strong lady displayed in an elephant cage. Circus lore also says that there was an elephant like Rosie who pulled up her stake in order steal lemonade. Reader Lisa on Amazon said that this book was unusual in that it was an enjoyable read and factual at the same time. I agree as it was a great story that also imparted the history of the circus. The New York Times says, "With a showman's expert timing, she (Gruen) saves a terrific revelation for the final pages, transforming a glimpse of Americana into an enchanting escapist fairy tale." If you are fascinated by historically based stories, I believe that you will enjoy this book. If you have always been interested in the history of the circus and you enjoy period pieces, you will not want to miss this book. I thoroughly enjoyed it and yes, I recommend the movie, too. A copy of the book and the movie bundled together would make an interesting gift idea for any woman who is interested in circus history. Have you read Water For Elephants? What did you think? If you are interested in the movie, you can read my movie review here. Buy your copy of Water for Elephants on Amazon. The Top Five Circus Movies. The Big Apple Circus Review. Author's Note: This page was originally written elsewhere in 2011. I totally loved the movie Water for Elephants and thought it was a true story. Oh well, still a charming legend. Didn't know it was a book. Good to know. See the movie, you will love it! This sounds like a wonderful book and one that I would thoroughly enjoy! I had heard of the book before, but I have not read it. It is going on my Kindle today. Thank you for sharing another good read for all of us. You know, Brenda, I got this book but never got around to reading it. I'll have to resurrect it from the cloud and move it way up on my reading list. Thanks for the excellent review! Oh this sounds like a book that I would enjoy. Thank you for your review....I have shared it everywhere! Thanks ladies for your visits, comments and support! I hope you do enjoy the book when you read it and that, either way, you come back here and says so. Until I read this review, I'd never heard of the book or the movie. I do read novels set in the depression era, so this does sound interesting.